On May 12, George Soros was awarded the Tiziano Terzani Prize for his 2012 book Financial Turmoil in Europe and the United States: Essays . The following interview is adapted from a press conference in Udine, Italy, on that occasion. 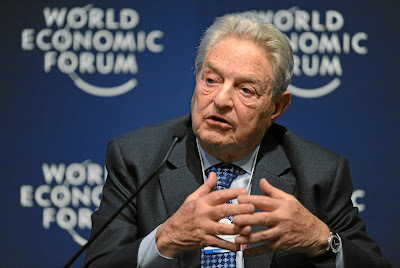 Soros is well known for his political and economic influence. QUESTION: But the stock markets are apparently in good condition. Why do you think we are in a crisis? Do you think this kind of honeymoon will go on for a long time? SOROS: The answer is no. We are in what I call a far-from-equilibrium situation. Therefore, it cannot last. But I am not in a position to predict the future. QUESTION: Do you think the current economic crisis is possibly the final step in a general philosophical crisis in the West? SOROS: I discussed this in 2000, in my book on The Crisis Of Global Capitalism: Open Society Endangered . So far, global capitalism is surviving, but with great difficulty. I hope it will continue to do so, but with less difficulty. I don’t think there is a viable alternative to global capitalism, but it does need better institutions.